“The heavens do rule” (Daniel 4:26b). 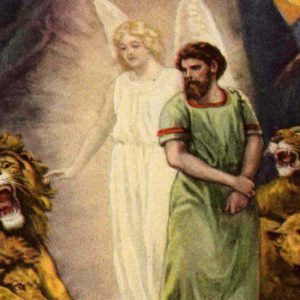 In the first three chapters of Daniel we find the spirit of Antichrist taking the offensive against the Remnant. In chapter one the point of conflict is their refusal to defile themselves with the king’s meat and drink. In chapter two there is the threat to murder them along with all the wise men of Babylon. In chapter three they are thrown into the fiery furnace for their refusal to bow down and worship the idol. In each instance the enemy attacks the Remnant, and in each instance the Lord delivers the Remnant and preserves the Testimony. In fact, the attack of the enemy is the basis upon which the Testimony is established. 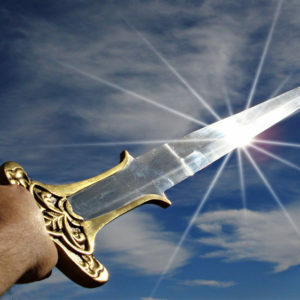 Just as there is no victory without a fight, no Crown without a Cross, so there is no Testimony without a devil. Our Testimony is not just “Hallelujah, I’m saved!”. It is not a thing that is said but it is a LIFE that is lived. We overcome the Dragon by the word of this Testimony. This Testimony demonstrates the preeminence of Christ over sin, self, and satan: and it is a violent thing, a proactive thing, not a passive thing. The Lord’s Testimony is actually strengthened when the enemy comes against it, for in the end we see that Christ is, indeed, preeminent. If we are really demonstrating this then we should be getting stronger spiritually. That is not to say we will always feel good and always have a smile on our face while engaging the enemy. But regardless of our outward condition, our inward condition will be continually strengthened as we bear the Testimony of Jesus. The fourth chapter of Daniel marks a turning point in our study. For here we find that this Testimony of Jesus is not always in a defensive posture. It is not always “under attack,” but is just as much ON the attack as it is under attack. We have already seen that Christ, the Rock, intends to fill this earth, breaking and consuming all the kingdoms which stand in opposition to Him (cf. Daniel 2:44). Obviously this calls for destruction. “He must increase, but I must decrease” (John 3:30). This is a very graphic, painful thing – to subdue all things to Christ, to put them down, to break them, to consume them, to decrease them. Just see how long and hard the Lord has to work in order to have the preeminence in YOU, and in ME; to then imagine that same process being executed on a universal scale is nearly beyond comprehension. Yet we are assured that “He is able even to subdue all things unto Himself” (Philippians 3:21b). What a mighty God we serve! Exactly how the Lord goes about bringing all things into submission unto Himself is… how can we describe it? It is an art. It is a science. There is a process at work in this universe. Do you see it? It is a process through which the Lord is continually refining, purging, molding, chastening, disciplining, judging, and conforming all things. This process is working itself out on every level, from galaxies, to nations, to the innermost recesses of the souls of men, right down to the very last disciple and sinner. Throw yourself onto the Rock and be broken; or wait for it to fall on you and be ground into powder (cf. Luke 20:18, Daniel 2:34,35). 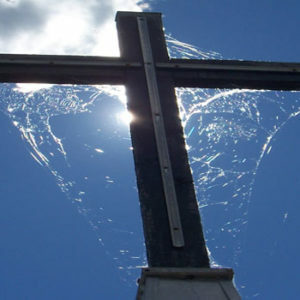 Either way, sooner or later, the Rock wins, for “He MUST increase, but I MUST decrease” (John 3:30). God has clearly relegated some of this work to the devil. He not only allowed, but practically invited, the devil to test Job. Job’s end was better than his beginning, but what an awful time he had in between! It was the Spirit of God that led Jesus into the wilderness – not to conduct a private retreat or to experience a glorious revival, but to be tempted by the devil (cf. Matthew 4:1). Jesus prayed for Peter, but it is interesting that He did not prevent the devil from sifting Peter like wheat (cf. Luke 22:31,32). And when Paul prayed three times for the Lord to take away the messenger of satan that was buffeting him, the Lord refused his prayer, but gave him Grace (cf. II Corinthians 12:8,9). What is His End? What is His Purpose? To “gather together in one ALL THINGS IN CHRIST” (Ephesians 1:10ff). What a battle that is! What turmoil! Imagine the breaking that has to take place, the tearing down, the constant whittling away, the continual process of trimming, reducing, decreasing, crucifying. By the time you get to the End of the Narrow Way there is nothing left of you. But is that not God’s Purpose in a nutshell? “Not I, but Christ” (Galatians 2:20ff). We still have a long way to go. But He MUST increase; therefore, we MUST decrease. And we can look here in Daniel 4 and see how the Lord goes about accomplishing this Purpose. What Nebuchadnezzar had to learn is the same thing we all have to learn: the heavens do rule. Heaven governs Earth. To us who are still bound to the Earth it appears that we have a lot of authority, a lot of say-so, a lot to do with what happens here. But control is an illusion. We do not have control; indeed, we never had it to begin with. There is One Who rules Heaven and Earth. He is Sovereign. To Nebuchadnezzar, of course, the Heavens are closed. He does not know the God of Heaven; he does not know that there is a Heaven. He is an Earth Dweller, and an Earth Ruler. He is the epitome of the natural man, the Adamic man. “Whom he would he slew; and whom he would he kept alive; and whom he would he set up; and whom he would he put down” (Daniel 5:19b). The natural man, the man of the flesh, just does whatever he pleases, whatever is right in his own eyes, whatever benefits HIM. He even dares to throw people into the fiery furnace if they dare disagree with him. 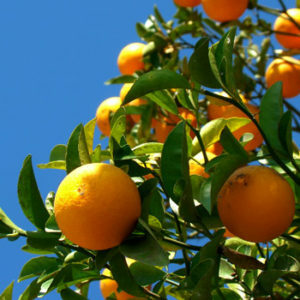 “Cut down the tree and destroy it” (Daniel 4:23ff). It has been decided that this tree should be cut down and “his” (note the subtle use of personal pronouns here) branches cut off, and “his” leaves stripped. Yet a stump is to remain, tethered to the earth with a band of iron and brass, while “he” lives out in the fields, eating grass like an animal. And this shall be “his” fate until “seven times” pass over “him.” Seven, of course, representing the number of completeness. It will be a very thorough work, designed to bring Nebuchadnezzar to the end of himself – and we cannot tell for sure if it will take seven days, seven months, or seven years. Now that is quite a judgment. It leaves little to the imagination. But who made this decision? Who issued this decree? “This matter is by the decree of the watchers, and the demand by the word of the holy ones” (Daniel 4:17a). What is the decree of the watchers in verse 17 becomes the decree of the Most High in verse 24. Is it possible that the holy ones and the watchers made the decree because the Lord Himself had already decreed it? We believe so. We believe authoritative prayer is not expressing what we want, but expressing what the Lord wants. And if so, then the holy ones and the watchers are simply announcing what Heaven has already decided, and calling for it to come to pass. In essence, this represents the prayer ministry of the Church. This kind of prayer is for destruction. It is not for me to get what I want, but for the Lord to get what He wants. The selfish, the earthly, the egotistical, the carnal, and the fleshly cannot pray like this. But the watchers know how to pray. Overcomers have power over the nations (cf. Revelation 2:26). Daniel himself is one of these holy ones, one of the watchers. Indeed, as Heaven’s ambassador to Earth, he is the one who comes down from heaven (spiritually speaking) to deliver this message to Nebuchadnezzar. For the first time in his life, Nebuchadnezzar is going to be personally confronted with a Power that is greater than himself, and a Kingdom which is greater that his own – a Heavenly Kingdom, which intends to come in by force and overrule his Earthly Kingdom. It is the “Rock that fills all things” (Daniel 2:34,35ff). Now, in this we see both the goodness and the severity of God. Love is fierce. Love will not be denied. Love never fails. And the Lord loves this pagan king so much that He is going to go to great lengths to break him. And not only for his sake, but to demonstrate His Preeminence to the world. “Whom the Lord loves, He chastens” (Hebrews 12:6). What is the purpose? The purpose is the same, whether you are a sinner or a saint. The Lord intends to reduce you to Christ: more of Him, and less of you. “To the intent that the living may know that the most High rules in the kingdom of men” (Daniel 4:23ff). What is the purpose? That the living – Nebuchadnezzar and every other earth dweller – may know that the Most High God rules. He is Lord; He is Sovereign; He is Preeminent, though the Heavenly King is not always ruling openly. We still do not see all things submitted to Him (Hebrews 2:8b). Yet, all things ARE under His feet (Ephesians 1:22a). It is not always an outward demonstration of power, but it is definitely an inward, invisible, spiritual, eternal purpose at work beneath the surface, gathering “together in one ALL THINGS IN CHRIST, both which are in heaven, and which are on earth; even in Him” (Ephesians 1:10b). And all of this is about to be demonstrated in the most unlikely of persons: heathen King Nebuchadnezzar. The magnitude of this strikes Daniel with such force that he cannot speak, but merely stands there in astonishment for “one hour, and his thoughts troubled him” (Daniel 4:19a). At last he manages to give the interpretation to the King, and pleads with him to stop sinning and to begin showing mercy, in the hope that if he judges himself then he would not be judged of the Lord. But even with this clear word from the Lord and this wise counsel, do you think Nebuchadnezzar listened? Do you think he really took it to heart? Nebuchadnezzar is like some people I know. They enjoy having prophets and wise men around. They say they want to know what God is doing and hear what God is saying. They like the prophetic word, and they like the prophet – from a distance, that is. They are all for confrontation, rebuke, and correction as long as they are not on the receiving end of it. As soon as it gets too close to home then they are no longer interested in the prophet or in his prophecy. It would be too inconvenient for them to change their lives in order to live according to the truth of what they have been shown, so they ignore the truth, and continue on as before. Nebuchadnezzar had the same problem. So it comes as no surprise when we read that “all of this came upon the king Nebuchadnezzar, at the end of twelve months…” (Daniel 4:28,29a). He had probably forgotten all about what Daniel had said just a year earlier. But he would never forget what happened next. 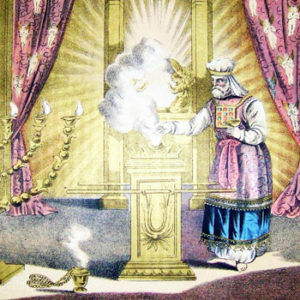 “The king spoke, and said, ‘Behold, great Babylon, that I have built for the house of the kingdom by the might of my power, and for the honor of my majesty!’ While the word was in the king’s mouth, there fell a voice from heaven, saying, ‘O king Nebuchadnezzar, to you it is spoken; the kingdom is departed from you…. '” (Daniel 4:30,31). The Lord will allow Self to run its due course, just like the tree whose branches fill the earth and whose height reaches to the heavens. But a day of judgment is coming. Now, those who love Self will hate judgment; but those who hate Self will love judgment. If our heart is “not I, but Christ,” then we will rejoice whenever we are decreased and Christ is increased. We will submit to the Lord’s dealings with us. Our focus will not be on what Self loses, but on what Christ gains, for our loss is His gain. With less of me, there will be more of Him in my life, so why would I resist that? There should be less of me today than there was yesterday, and there should be more of Him now than there was before. If I will submit to Him today, then tomorrow there will be yet a little more of Him and a little less of me. Praise God! Spiritual growth is not stronger anointing, greater power, or increased knowledge. Spiritual growth is “He must increase, but I must decrease” (John 3:30). When Self is seen as the greatest hindrance to knowing Jesus then we will gladly let go of Self. We will not wait for judgment, but we will ask God to judge us right away. But first we have to see the flesh as an enemy. When we do, not only will we hate the flesh in ourselves, but we will hate the flesh in others. We will be repulsed by Self in us and will be sickened by the manifestations of Self in others. Paul says, “I know that in ME (that is, in my flesh) dwells no good thing” (Romans 7:18a). Paul knows this. How did he know it? From trying and failing enough times to learn this lesson. At long last he is finally able to “rejoice in CHRIST JESUS and have no confidence in the flesh” (Philippians 3:3b). Now, which will it be for us? Rejoice in Christ alone, or trust in our flesh? Our problem is that we still have confidence in our flesh. So we walk in the flesh. We make our flesh religious. We make our flesh spiritual. But no matter how good, religious, or spiritual your flesh may be, “the flesh profits nothing” (John 6:63ff). The question is not whether your flesh is good, religious, spiritual, or better than most people’s flesh. The question is: is it flesh? If it is flesh then it profits nothing. Every one of us – sinner and saint – are on a head-on collision with the Rock. Even now, the axe is at the root of the trees. I want us to see that the Voice from Heaven overrules whatever word is in our mouth. We may not be as bold as Nebuchadnezzar, leader of the pagans. Our pride may be a little more subtle than his. Yet the Heavenly Voice reveals us for who and what we are. God’s Purpose for judgment is to subdue all things to CHRIST, to bring all things to the end of Self, so that CHRIST may fill all things (cf. Ephesians 4:10). “The same hour was the thing fulfilled upon Nebuchadnezzar: and he was driven from men, and did eat grass like an ox, and his body was wet with the dew of heaven, until his hair grew long like the feathers of an eagle, and his nails grew long like the claws of a bird” (Daniel 4:33). It is apparent that Nebuchadnezzar went out of his mind at this point. This moment of insanity was not the result of a chemical imbalance, or a predisposition towards depression. Remember that this judgment was “by the decree of the watchers, and the demand by the word of the holy ones” (Daniel 4:17a). The Remnant is ruling! How long will this sentence be carried out on him? “Until you know that the most High rules in the kingdom of men, and gives it to whomever He wills” (Daniel 4:32b). The sovereignty of God, the preeminence of the Lord Jesus Christ, is what we have in mind here. Whenever something untoward happens in the world someone always has to remind us that “God is still in control.” Here is yet another reminder that this Rock is in control (how many more reminders will we need?). Nebuchadnezzar was kind of a cross between Hitler and Saddam Hussein. My point is that humbling someone like Nebuchadnezzar is a big thing, but not too big for God. Upon this Rock some things will be broken, and beneath this Rock some things will be crushed; but whether you are broken to pieces or crushed to powder, the Rock always wins in the end. Get used to it! Embrace it! Surrender to it! Yield to it! We cannot touch God and remain intact, for “our God is a consuming fire” (Hebrews 12:29). And this One Who is Consuming Fire is calling you by name, seeking you out, and endeavoring to bring you closer to Him! If you want to go deeper into God, it is going to get hotter. Pentecostals are fond of talking about the “fire” of the Holy Spirit in terms of power, charisma, and anointing. May I say that the fire of the Holy Spirit is but for one purpose, and that is refinement. This refining, purging, cleansing, and conforming to the image of Christ is the express reason the Lord Jesus Christ baptizes us “in the Holy Spirit and in fire” (Matthew 3:11b). The “Holy Spirit baptism” in Scripture is discussed in the context of judgment, refinement, and purification – not power, charisma, and anointing. Are you sure you really want to be filled with the Spirit? How many self-confessed “Holy Spirit baptized” people are as stubborn, proud, and unyielding as Nebuchadnezzar? They have not yet been through the fire, regardless of the experience they claim. The end result of a true Holy Spirit baptism is less of me and more of Christ. “And at the end of the days I Nebuchadnezzar lifted up my eyes to heaven, and my understanding returned to me, and I blessed the most High, and I praised and honored Him that lives forever…” (Daniel 4:34a). Once the fire has consumed every scintilla of Self; once the Rock has broken to pieces and crushed everything that resists it; once the things that can be shaken are shaken and removed; then the object of all this attention will be like the prodigal son who finally “came to himself” one day, and seeing the Truth, beat a hasty retreat back to His Father’s house (cf. Luke 15:17,18). The Lord, Who says, “I will draw all men unto Me” (John 12:32ff); the Lord, Who “is not willing that any should perish, but that all should come to repentance” ((II Peter 3:9ff); the Lord, Who “will have all be to be saved, and to come to the full-knowledge of Truth” (I Timothy 2:4); the Lord, by Whom God will “reconcile all things unto Himself” (Colossians 1:20ff); the Lord, before Whom “every knee will bow… and every tongue will confess” (Philippians 2:10,11ff); this is the One Who holds Nebuchadnezzar now! Nebuchadnezzar, heathen ruler of the great world empire of Babylon, has been subdued. That is preeminence! AND IT HAPPENED BY THE DECREE OF THE WATCHERS – the Remnant! Before, Nebuchadnezzar could render lip service to the most High while retaining something of Self. But no more. It was a devastating blow to his pride to live like an animal, but at long last he “lifted up [his] eyes to heaven.” As soon as he lifted up his eyes to heaven, his understanding returned. He “came to himself,” and he immediately blessed God. That was the beginning of the end of judgment, for it had accomplished its intended purpose. Now he knew that “the heavens do rule,” and he submitted to it, and God was satisfied. Glorious surrender! Knowing what we know now, would any dare say the cost was too great? Did God go too far? Was it too severe? Ask Nebuchadnezzar! He says, “I praised and honored Him that lives forever, whose dominion is an everlasting dominion, and His Kingdom is from generation to generation: all the inhabitants of the earth are reputed as nothing: and He does according to His will in the army of heaven, and among the inhabitants of the earth: and none can stay His hand, or say to Him, ‘What are You doing? '” (Daniel 4:34b,35). This is a genuine revelation of God’s sovereignty, the likes of which we can only have when “seven times” have passed over us. There will be no forced idol worship or mass executions or “behold what I have built” coming out of Nebuchadnezzar anymore. The heavens do rule (they have always ruled), but now he knows it. And this Kingdom of Heaven is expanding and increasing – individually in each disciple, corporately in the Church, and collectively in all Creation – until CHRIST has the manifest preeminence in “all things” (cf. Colossians 1:18b). What a mighty God we serve! “Now I Nebuchadnezzar praise and extol and honor the King of heaven, all Whose works are truth, and His ways judgment: and those that walk in pride He is able to abase” (Daniel 4:37). I am sometimes asked how God will fulfill His Purpose of gathering “together in one all things in Christ” (Ephesians 1:10ff). Friends, I cannot say how it will happen. Naturally speaking it is quite impossible. Theologically speaking it opens a can of worms. It goes beyond our comprehension, beyond my ability to articulate. But the issue is not whether we are smart enough to figure it out, but whether Jesus is big enough to pull it off. And I am convinced that even though I cannot say how it will happen, I do know that Christ is higher, deeper, and greater than we give Him credit for. With Him, all things are possible. And He is “working all things after the counsel of His own will” (Ephesians 1:11b). Now the Scriptures say that He is able to subdue all things to Himself (Philippians 3:21b). It is not a question of “can” He, or “will” He. We do not have to wonder “if” it will happen. “And WHEN all things shall be subdued unto Him, then shall the Son also Himself be subject unto Him that put all things under Him, that God may be All in All” (I Corinthians 15:28). “When all things shall be subdued unto Him…” See, it is only a matter of time. We see all of this coming to pass in the most unlikely of people, King Nebuchadnezzar. Nebuchadnezzar is Everyman. What does he say now? “Those that walk in pride He is able to abase.” Herein lies the secret. God is able! And this same God is at work in all of us, and His Purpose is the same. Daniel chapter four marks a turning point in the story of the Remnant. Heaven is on the offensive now, and the momentum is building. Something is breaking forth in the midst of Babylon, and the Remnant is central to all that is happening. As we progress into Daniel chapter five the conflict escalates. We meet King Belshazzar, and see yet again that “the heavens do rule;” but this time, the outcome is a bit different. “And you, his son, O Belshazzar, have not humbled your heart… and the God in Whose hand your breath is, and Whose are all your ways, you have not glorified…” (Daniel 5:22,23ff). Some years later Daniel is once again brought before a king to give an interpretation. 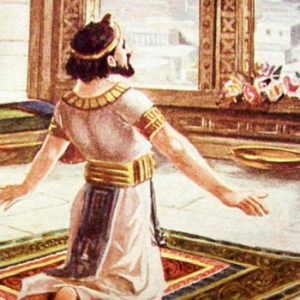 The occasion this time is the famous “handwriting on the wall,” with the cryptic message that read, “MENE MENE TEKEL UPHARSIN.” We should note Daniel’s boldness before Belshazzar as compared to his humility before Nebuchadnezzar. In bringing the word to Nebuchadnezzar he was “astonished” for one hour, and cried, “May it be to your enemies, and not you!” But before Belshazzar he minces no words. Belshazzar will die that very night. There is nothing left to salvage. 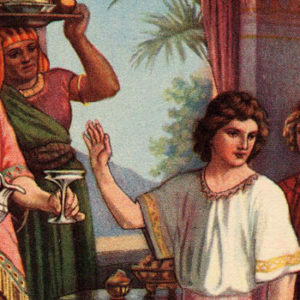 And depending on Belshazzar’s mood, Daniel could easily be executed for saying the things he said. First, Daniel refuses the king’s payment for providing the interpretation: “Let your gifts be to yourself, and give your rewards to another” (Daniel 5:17ff). What impertinence! Then he rehearses the history of Nebuchadnezzar, and recalls for the record how the God of Heaven humbled the king. Then he points the finger at Belshazzar and says, “And you have not humbled yourself, even though you knew all this!” He accuses him of praising idols that cannot see, or hear, or know, and of ignoring the living God Who gives him the very breath he breathes. This is a strong word! After he has successfully indicted Belshazzar, he is ready to provide the meaning of the words. The literal meaning is “NUMBERED NUMBERED WEIGHED DIVIDED.” Now, even when we have the meaning of the words we still cannot say what the message is. Translating is one thing, but interpretation is another. We have Bibles full of words from the Hebrew, Greek, and Aramaic languages. We have many translations to choose from. Let us assume we can take a passage of Scripture and say that we have the correct translation. Very well, but the correct translation is not enough. The interpretation is from God. The ability to see beyond the words and actually read the message is of the Spirit. Knowing the Bible (as a thing) does not necessarily mean we know the Word (as a Person). Daniel knows the Word of the Lord because he knows the Lord of the Word. “God has numbered your kingdom, and finished it… you are weighed in the balances, and found lacking… your kingdom is divided and given to the Medes and the Persians…” (Daniel 5:25-28ff). My point is this: do we have a “word from God,” or do we have God Himself? Are we so into the next prophetic “thing” that we have missed the Lord? Everyone sees the handwriting on the wall. A handful of people can translate it – but that does not make them prophetic. Only a Remnant can give the meaning. The Remnant, because it clearly sees God’s Purpose, can accurately interpret all things through the filter of that Purpose. “It is the truth concerning Jesus that inspires all prophecy” (Revelation 19:10, Knox). To understand the Lord’s Will is to see that everything God has done, everything God is doing, and everything God will do; everything God has said, everything God is saying, and everything God will say; all of it relates to that eternal Purpose which He purposed in Christ Jesus. “Numbered Numbered Weighed Divided.” What does it mean? It is a mystery until we have seen this Rock that Daniel talks about, which fills the earth. And that Rock is Christ. Here the message is to King Belshazzar. But I could walk up to any number of people and make the same pronouncement over them. Why? Because Christ is increasing, and they are decreasing. What is judgment to a sinner is salvation to a saint. If I am in Christ, then the end of “Me,” the destruction of the Kingdom of Self, is cause for celebration! For then Christ will have the preeminence and I can say, “Not I, but Christ” (Galatians 2:20ff). May I say that the handwriting is on the wall everywhere you look. What does it say? “He must increase, but I must decrease” (John 3:30). That is just another way of saying, “Numbered Numbered Weighed Divided.” I see the handwriting on the walls of our governments, our education systems, our financial institutions, the nations of the world. They are all being decreased. But how am I able to see it so clearly? Because the same thing is happening inside of me! The same thing is happening inside of you! As He increases, everything else decreases. Do you understand this? If you truly understand this then you are the minority. You are part of the Remnant. 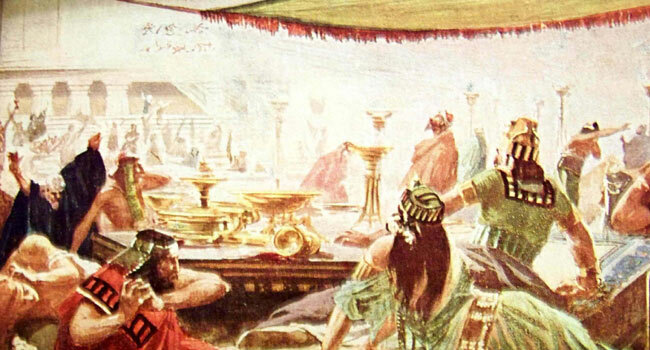 “In that night was Belshazzar the king of the Chaldeans killed. 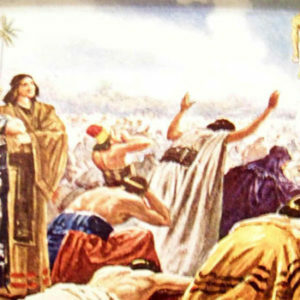 And Darius the Median received the kingdom at the age of 62” (Daniel 5:30,31). So the Heavens DO rule. That is the point of the Book of Daniel. But how does Heaven exert itself upon Earth? How is God’s Will performed? 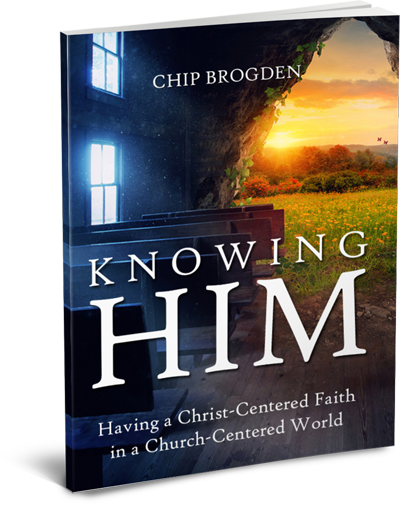 How is God’s Kingdom established? Not directly, but through a Remnant. Not through angels, but through men and women, people who are “in the world,” but are not “of the world.” Remember our definition of the Remnant? A Remnant is a person or persons who fulfill the Lord’s Purpose for the Whole when the Whole either cannot or will not fulfill it. They are the Overcomers. So far we have traced the Remnant from Israel to Babylon. Nearly seventy years have passed since Israel went into exile and the Hebrew children refused the king’s wine and meat. Daniel is in his eighties now, having spent most of his life on foreign soil, bearing a Testimony that seems ridiculous: that the Heavens do rule. If the Heavens rule, most Jews asked, why did God allow us to be defeated? Why was the Temple and our nation destroyed? Why are we having to raise our children in this pagan society, far away from the Promised Land? And what about the Messiah? When will He arrive? Or is He not coming? How soon they forgot that the reason for their exile was idolatry and spiritual adultery. Yet, God has reserved for Himself a Remnant who will not be defiled. And through this Remnant He demonstrates His sovereignty. We have seen the Remnant delivered from an execution and a fiery furnace. And we have seen the Remnant exercise unearthly power over the very ones who had enslaved them, decreeing the humbling of Nebuchadnezzar and the elimination of Belshazzar. Tensions are rising. The Spirit of Antichrist is about to make another move. At the same time, Heaven is about to make a move. What happens when an immovable object meets an irresistible force? We come now to the most significant crisis and spiritual conflict recorded in the Book of Daniel. Everything is leading up to this moment; eternity hinges on the outcome. Heaven and Earth are locked in a battle so fierce that once we understand the implications it will take our breath away. And everything is centered on the aged Daniel, sole survivor of the Remnant. Amazing writing! Just what we needed to learn as we press onward in the Irresistible Kingdom.